Move past surface level recommendations to love yourself and live your best life, and dive into the complexities, nuance, challenges, and opportunities that come with living a life of true self-acceptance and authentic health. The Retreat is a 3-day event filled with story-sharing, truth-telling, inspirational speakers, workshops with top researchers and scholars, panel discussions, intimate community groups, incredible food, fun get-togethers, and loads of new friend-making! Full itinerary here or below! We’ll kick off the 2018 Retreat with an opening session with Amanda & Ander! During this time, Amanda & Ander will recap the previous five years of retreats, highlighting seminal moments and sharing the behind the scenes stories that contributed to the evolution of Fresh Work and their current mission to expand the definition of wellness to encompass whole-person, authentic health. Eat, drink, connect with new friends, and meet with your community group! Community groups are small groups with shared interests that meet up throughout the weekend to discuss and debrief retreat sessions. All attendees will be emailed in April to sign up for their community group of choice. We'll move past surface level recommendations to love yourself and live your best life, and dive into the complexities, nuance, challenges, and opportunities that come with living a life of true self-acceptance and authentic health. Breakfast, Lunch & All the Snacks! Start your Saturday right with a coffee provided by Coffee Cart Nashville and breakfast. We’ll enjoy a delicious meal together and caffeinate up for an incredible day of learning, growing, and memory making! True health is supposed to be about more than just eating and exercising. It’s supposed to be about trusting your body, self-care, and if you’re on Instagram--cute girls in bubble baths with too-perfectly-messy-to-be-real top knots, smoothie bowls (why can’t I use a straw!? ), expensive cycle classes, and all the activewear. While each of these things can have their place in a healthy and fulfilling life, we’re over here wondering, This can’t be the point though, right? In this session, Ander Wilson takes a look at how we define wellness and how we might expand the concept to include the latest evidence-based information on what actually makes health. In 1984, psychologist Judith Rodin coined the term “normative discontent” to describe the widespread and all-to-common nature of women’s dissatisfaction with our bodies. Diet culture is an undeniable source of messages that promote normative discontent, but wellness culture can communicate them too. In this talk, we’ll explore the historical origins of ideas and concepts about health, food, and our bodies that we often accept as “normal” and that have come to be normative in American culture. We’ll examine sources like dietary advice, medical literature, media, and popular culture to unpack the messages that they impart—as well as how to historicize, interpret, critique, and resist them. Listen in as four dynamic women have a frank conversation about their own body image journeys, when and why body image became a proxy for health, and whether mainstream media body image campaigns are groundbreaking, benign, or faux-activism that comes at a cost to larger movements. Moderated by Ander Wilson. Enjoy a delicious meal with your community group, provided by Golden Roots Nashville. Use this time to debrief the sessions, ask questions of your community group leader and fellow members, and just relax and have a good time! 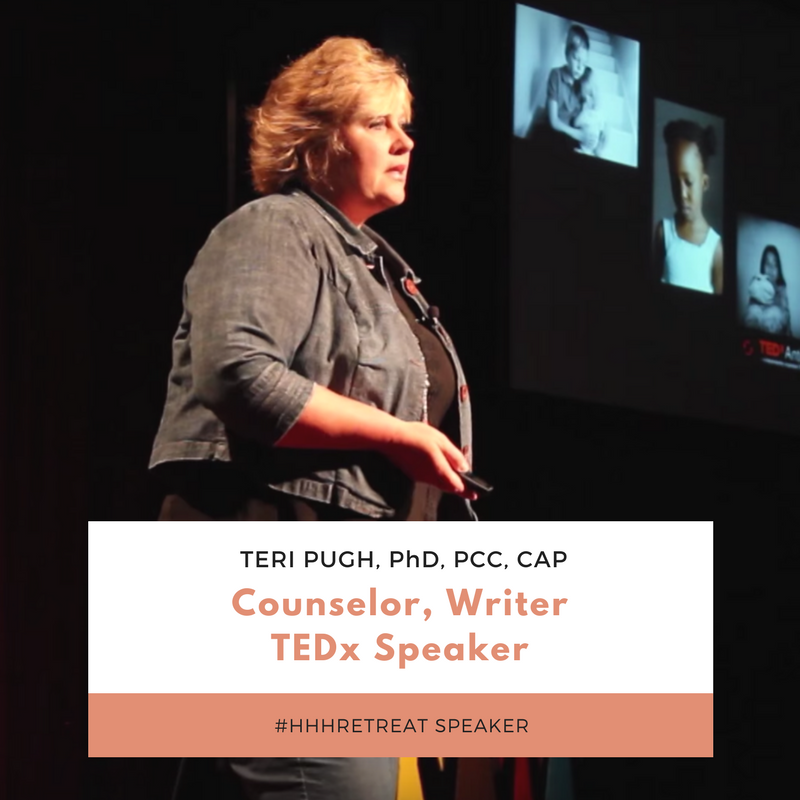 In this interactive workshop, Dr. Teri Pugh will help you learn to check in and clarify the narrative you're allowing to run on a loop in your head. You’ll explore the foundation of healthy boundaries, learn why they are important, and embrace the truth that while setting boundaries may feel prickly in the moment, leaning into the uncomfortableness in that brief moment is far better than the alternative of cultivating personal resentment and regret that can last days, weeks, months, even years. When we honor our authentic selves by setting boundaries and speaking truth with integrity, we can support our dreams and goals and allow us to feel safe within ourselves again. Wellness, at its core, is a harmonious experience and a beautiful pursuit. Taking care of yourself – in mind, body, and spirit – is necessary in a hectic world that constantly tells us that we're undeserving of self-love. But take a closer look into the ubiquitous marketing around health and wellness, and what you find may surprise you: It's the same old "Lose weight, feel great" that we're trying to get away from, just blended into a kale smoothie. Brilliant advertising moguls and Instagrammable wellness gurus alike are purposely creating new language around beauty standards to get you to buy in – and we need to wise up. Through the lens of deconstructing our society's harmful value of healthism, this presentation will guide you through peeling back the layers of how wellness is sold to us. Wellness should be a nourishing, empowering experience – so let's talk about how to take back our autonomy and take care of ourselves. It’s time to take everything you’ve learned this weekend and transform it from theory to practice. Here’s the final and imperative question, “Are you sitting in the front row of your life?” During this talk, let’s explore and develop a personalized understanding of how you can realistically and effectively show up, show out, and leave while the audience is still applauding. You’ve got a big life to live! Join me in the front row and let’s get started. Get your final day started with a relaxing yoga session followed by brunch, Q&A, and your final speaker! Move your body, fill your heart, and clear your mind with Nashville’s only music-based yoga studio, Inner Light Yoga Nashville! In April, you’ll receive an email to sign up for the time slot of your choice. Class times are first come, first served, and yoga mats are provided. No expertise needed, just a desire for movement! Come on in for post-yoga Sunday Brunch provided by CHOPT! We’ll share a delicious meal together and settle in for the final day of the retreat! As women, it feels like we are always in pursuit of our purpose, that illusive something that will finally reveal who we are supposed to be. We measure our progress by comparing ourselves to someone else’s self-care, someone else’s happiness, someone else’s goals. But there is a much better way to discover and pursue the you that you were meant to be. Circle up with your community group for a final debrief and discussion to close out the weekend. 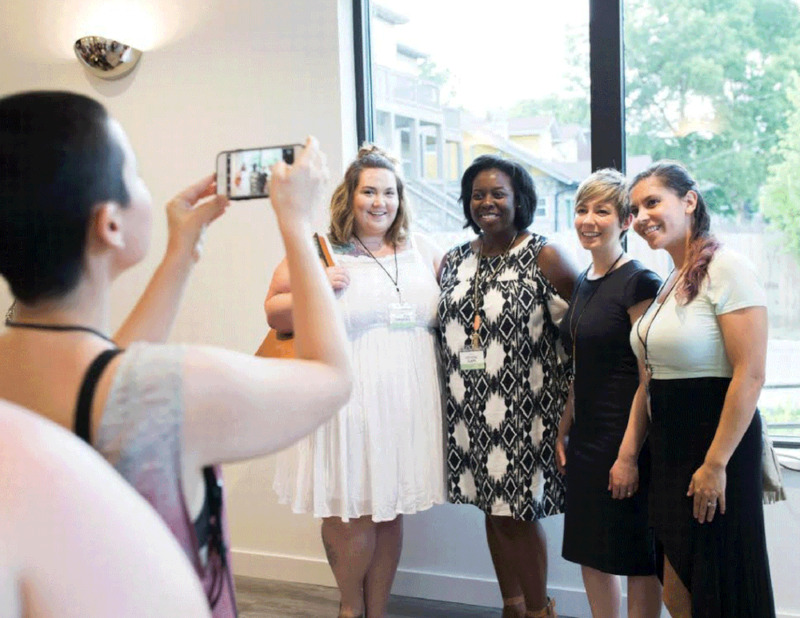 Then snap photos, exchange info, and chat with speakers and panelists before we all say our final goodbyes to new sisters, mentors and friends! This heart-shifting weekend wouldn't be possible without our incredible sponsors!